Galicia is part of the European Union (EU) and the Schengen Area (through Spanish representation), which is very handy for travel as this allows for internal freedom of movement. Simply check that all necessary documents and/or visas (when applicable) are in order. If you are travelling from North America, Australia or New Zealand all you need is a valid passport; you don’t need a visa for a short tourist stay in the EU – up to three months – but do make sure your passport is valid for at least six more months. These conditions also apply for many other countries in the world. If in doubt, please check with the relevant authorities. Galicia has three international airports: Alvedro (city of A Coruña, airport code LCG), Lavacolla (city of Santiago de Compostela, airport code SCQ) and Peinador (city of Vigo, airport code VGO). There are a number of direct flights from and to Alvedro and Peinador, such as Lisbon, London-Heathrow, Madrid, Bologna, Dublin or Barcelona. However, Lavacolla is the main Galician airport, with regular and seasonal direct flights from/to London-Gatwick, Dublin, Basel, Geneva, Amsterdam, Berlin, Brussels, Zurich, Bergamo, Frankfurt-Hahn, Madrid, Barcelona, etc. Good offers can be found with major airlines: Ryanair, EasyJet, Iberia, TAP, Aer Lingus, Vueling, Air Europa, etc. Another feasible option is flying to the neighbouring Sá Carneiro international airport, in the Portuguese city of Porto (OPO). This is a mere 1h15 drive from the Galician border (on toll motorways), although train and bus connections might not be as covenient. The two main train lines into Galicia are from the cities of Porto (Portugal) and Madrid (Spain), the latter being the best of both options, although the service is still slow and the choice of times is not the best. The introduction of a high-speed train due in (approximately) 2018 should improve this situation. Internal train travel in Galicia is efficient on the so-called “Atlantic corridor”, namely between the cities of A Coruña and Vigo with stops in Compostela and Pontevedra. Railways in Galicia are managed by the state-owned company RENFE. Check the weather forecast! You never know if the clouds are coming or going… But sure they’re pretty. The climate of Galicia is temperate and rainy, with drier summers. It is usually classified as Oceanic, with Continental influences in the southeast. 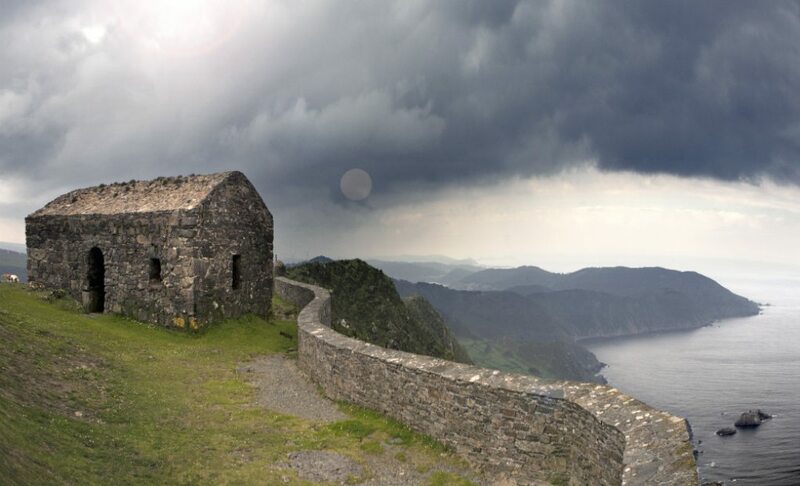 In other words, weather conditions will depend a lot on the season and the region of Galicia you visit. You are, after all, in Atlantic Europe, even if it is southern (hence milder) Atlantic Europe. Expect summer days to be warm and sunny, yet the odd rain can happen and some evenings may feel a bit chilly. Likewise, winters have their share of storms, gales, cool temperatures… but then again we often get weeks of amazing weather right in the middle. Spring and Autumn see ever changing weather and most of the rain. You can use the Pontevedra climate chart as a reference, where Galicia Unveiled is headquartered, even if Pontevedra has a somewhat better climate than other parts of the country. For current weather conditions check Meteo Galicia, the official weather service from the Galician Government. Remember that we will go on with the tours except in very rare occasions. Bring your raincoat, just in case! Mobile phones operate on a GSM network, which means that for Europeans – and many other countries – your current phone will most probably work in Galicia. Still, you might want to check that with your carrier before coming over (many North American phones won’t work!). Free internet/wi-fi is widely available at hotels, bars, restaurants, etc. It shouldn’t be difficult to find hotspots where to connect at no cost or, well, while having a coffee. Be smart. 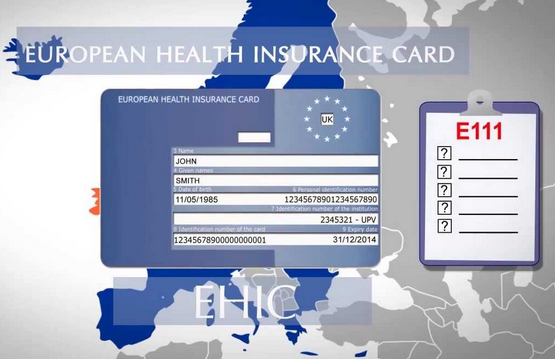 If you are a EU citizen apply for your European health card before you travel. It’s free and it’s your right. The Galician public healthcare system is fairly good, well equipped and with competent staff. Waiting times, however, may be quite long unless you have a really obvious emergency. If you are a EU (+ Iceland, Lichtenstein, Norway and Switzerland) citizen, you are entitled to a free European Health Insurance Card. This will give you temporary access to the Galician healthcare system. Please note that you must get this card before travelling, since these cards are issued by your national health insurance provider. Failing to do so might incur in otherwise easily avoidable costs. If you are not a EU citizen it is then advisable to get travel insurance. Having said that, public hospitals cannot refuse treatment for emergencies (at a cost and involving subsequent paperwork), and private hospitals are also available. Private healthcare is often good value for money compared to the US and most north European countries and is widely available in major cities. Galicia is one of the safest destinations in Europe. The overall crime rate is low and violent crime is very rare. Observe the usual caution when visiting larger towns and cities, as pickpockets may be in operation. Alcohol-induced behaviour may occur during weekend nights and festivities. Use common sense avoiding boisterous or rowdy crowds and individuals. Illegal drug trafficking and drug-related activities are not uncommon in some specific places. However, this seldom transpires beyond those places and rarely affects the occasional tourist. Dial 112 for general emergencies (multilingual service, including English – dial this number if unsure, they’ll take your call in your language and assess the situation from there). Dial 061 for medical assistance / ambulance. Dial 080 for the fire brigade. Dial 092 for (local) police. Area: 30,000 km2 (approximately the size of Belgium or the US state of Maryland). Languages: Galician and Spanish (both official; most of the population is bilingual). Communication in Portuguese is often fluid. English and other languages are taught at school, but the level is generally quite poor. Political organisation: Stable standard Western parliamentary system. Elections are held every four years. Political status: Galicia is an autonomous territory within the Spanish State, following a process of devolution initiated in 1978. Galicia holds the designation of “historical nationality”, as stated in the Spanish Constitution and Galician Statute of Autonomy, which also regulates its internal organisation and institutions, including the Galician Parliament and Government. Symbols: Flag, coat of arms and anthem. National day is on July 25th. Territory: Administrative Galicia is divided into 53 comarcas or bisbarras (regions), 316 concellos (municipalities) and 3,781 paróquias (parishes). Galicia has more than 33,000 settlements. A number of territories with strong Galician influence remain outside administrative Galicia, in the Spanish regions of Asturias and León. Northern Portugal is also strongly akin to Galician culture. Galicia and North Portugal form, in fact, an official “Euro-Region“. Terrain: Galicia is very hilly in general with higher mountains in the east (up to 2,127m), central plateaus (chairas), ample estuaries (rias) and a myriad of valleys and rivers. Still unconvinced? Check this, see if we can persuade you a little bit more! 😀 Wondering about “Where and When”? We’ve got that covered too! Do contact us if you have any questions. The Weather Click on the map to visit Meteo Galicia, the official weather service, for current conditions and forecast.